S. Gerber, O. Reubel, P.-T. Bremer, V. Pascucci, R.T. Whitaker. 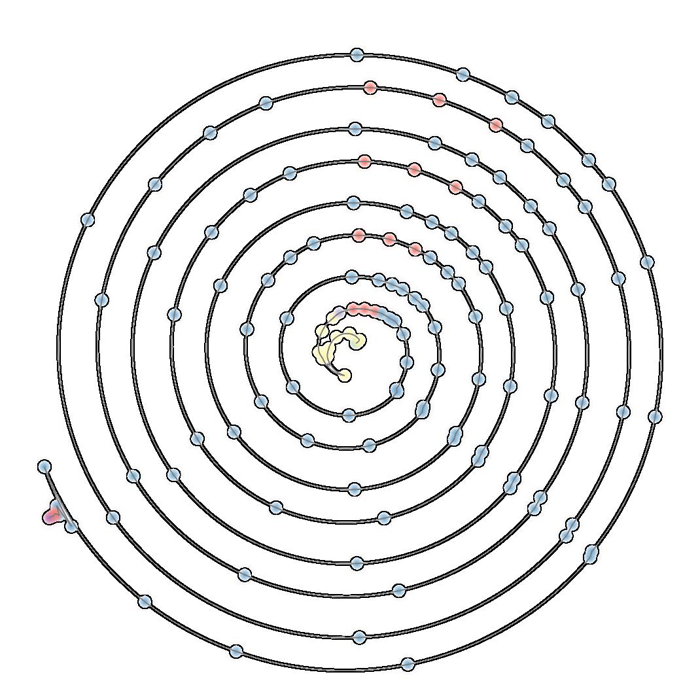 Morse-Smale Regression, In Journal of Computational and Graphical Statistics, Vol. 22, No. 1, pp. 193--214. 2013. This paper introduces a novel partition-based regression approach that incorporates topological information. Partition-based regression typically introduce a quality-of-fit-driven decomposition of the domain. The emphasis in this work is on a topologically meaningful segmentation. Thus, the proposed regression approach is based on a segmentation induced by a discrete approximation of the Morse-Smale complex. This yields a segmentation with partitions corresponding to regions of the function with a single minimum and maximum that are often well approximated by a linear model. This approach yields regression models that are amenable to interpretation and have good predictive capacity. Typically, regression estimates are quantified by their geometrical accuracy. For the proposed regression, an important aspect is the quality of the segmentation itself. Thus, this paper introduces a new criterion that measures the topological accuracy of the estimate. The topological accuracy provides a complementary measure to the classical geometrical error measures and is very sensitive to over-fitting. 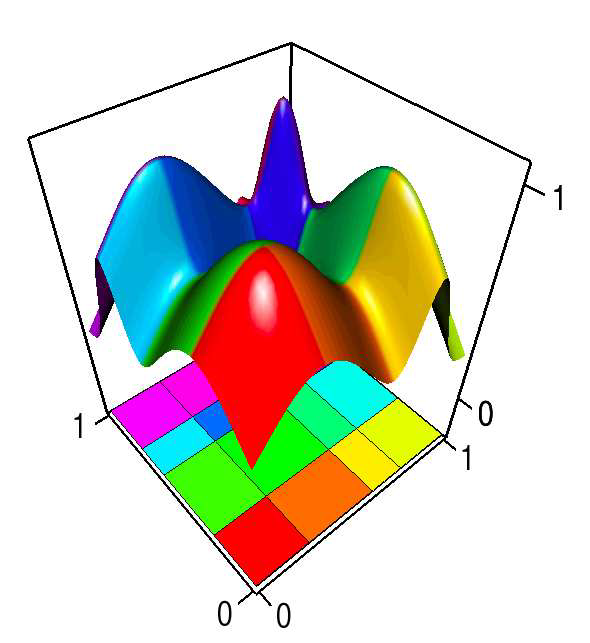 The Morse-Smale regression is compared to state-of-the-art approaches in terms of geometry and topology and yields comparable or improved fits in many cases. Finally, a detailed study on climate-simulation data demonstrates the application of the Morse-Smale regression. Supplementary materials are available online and contain an implementation of the proposed approach in the R package msr, an analysis and simulations on the stability of the Morse-Smale complex approximation and additional tables for the climate-simulation study. M. Hall, R.M. Kirby, F. Li, M.D. Meyer, V. Pascucci, J.M. Phillips, R. Ricci, J. Van der Merwe, S. Venkatasubramanian. Rethinking Abstractions for Big Data: Why, Where, How, and What, In Cornell University Library, 2013. Big data refers to large and complex data sets that, under existing approaches, exceed the capacity and capability of current compute platforms, systems software, analytical tools and human understanding . Numerous lessons on the scalability of big data can already be found in asymptotic analysis of algorithms and from the high-performance computing (HPC) and applications communities. However, scale is only one aspect of current big data trends; fundamentally, current and emerging problems in big data are a result of unprecedented complexity |in the structure of the data and how to analyze it, in dealing with unreliability and redundancy, in addressing the human factors of comprehending complex data sets, in formulating meaningful analyses, and in managing the dense, power-hungry data centers that house big data. The computer science solution to complexity is finding the right abstractions, those that hide as much triviality as possible while revealing the essence of the problem that is being addressed. The "big data challenge" has disrupted computer science by stressing to the very limits the familiar abstractions which define the relevant subfields in data analysis, data management and the underlying parallel systems. Efficient processing of big data has shifted systems towards increasingly heterogeneous and specialized units, with resilience and energy becoming important considerations. The design and analysis of algorithms must now incorporate emerging costs in communicating data driven by IO costs, distributed data, and the growing energy cost of these operations. Data analysis representations as structural patterns and visualizations surpass human visual bandwidth, structures studied at small scale are rare at large scale, and large-scale high-dimensional phenomena cannot be reproduced at small scale. As a result, not enough of these challenges are revealed by isolating abstractions in a traditional soft-ware stack or standard algorithmic and analytical techniques, and attempts to address complexity either oversimplify or require low-level management of details. The authors believe that the abstractions for big data need to be rethought, and this reorganization needs to evolve and be sustained through continued cross-disciplinary collaboration. In what follows, we first consider the question of why big data and why now. 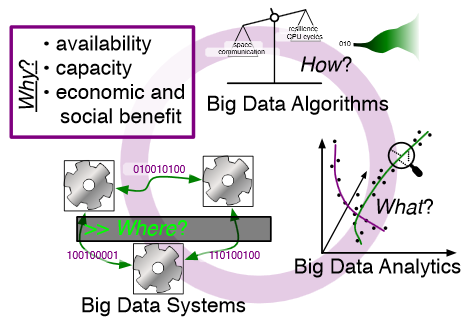 We then describe the where (big data systems), the how (big data algorithms), and the what (big data analytics) challenges that we believe are central and must be addressed as the research community develops these new abstractions. We equate the biggest challenges that span these areas of big data with big mythological creatures, namely cyclops, that should be conquered. A. Knoll, I. Wald, P. Navratil, M. E Papka,, K. P Gaither. Ray Tracing and Volume Rendering Large Molecular Data on Multi-core and Many-core Architectures., In Proc. 8th International Workshop on Ultrascale Visualization at SC13 (Ultravis), 2013, 2013. Visualizing large molecular data requires efficient means of rendering millions of data elements that combine glyphs, geometry and volumetric techniques. 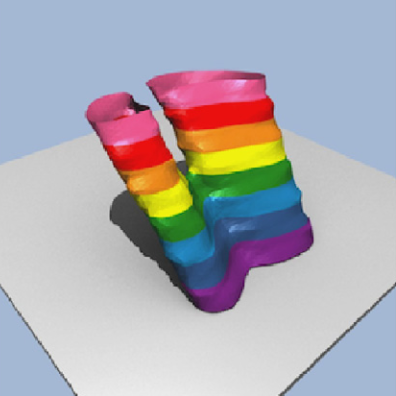 The geometric and volumetric loads challenge traditional rasterization-based vis methods. Ray casting presents a scalable and memory- efficient alternative, but modern techniques typically rely on GPU-based acceleration to achieve interactive rendering rates. In this paper, we present bnsView, a molecular visualization ray tracing framework that delivers fast volume rendering and ball-and-stick ray casting on both multi-core CPUs andmany-core Intel ® Xeon PhiTM co-processors, implemented in a SPMD language that generates efficient SIMD vector code for multiple platforms without source modification. We show that our approach running on co- processors is competitive with similar techniques running on GPU accelerators, and we demonstrate large-scale parallel remote visualization from TACC's Stampede supercomputer to large-format display walls using this system. S. Kumar, A. Saha, V. Vishwanath, P. Carns, J.A. Schmidt, G. Scorzelli, H. Kolla, R. Grout, R. Latham, R. Ross, M.E. Papka, J. Chen, V. Pascucci. Characterization and modeling of PIDX parallel I/O for performance optimization, In Proceedings of SC13: International Conference for High Performance Computing, Networking, Storage and Analysis, pp. 67. 2013. Parallel I/O library performance can vary greatly in response to user-tunable parameter values such as aggregator count, file count, and aggregation strategy. Unfortunately, manual selection of these values is time consuming and dependent on characteristics of the target machine, the underlying file system, and the dataset itself. Some characteristics, such as the amount of memory per core, can also impose hard constraints on the range of viable parameter values. In this work we address these problems by using machine learning techniques to model the performance of the PIDX parallel I/O library and select appropriate tunable parameter values. We characterize both the network and I/O phases of PIDX on a Cray XE6 as well as an IBM Blue Gene/P system. We use the results of this study to develop a machine learning model for parameter space exploration and performance prediction. D. Maljovec, Bei Wang, V. Pascucci, P.-T. Bremer, M.Pernice, D. Mandelli, R. Nourgaliev. Exploration of High-Dimensional Scalar Function for Nuclear Reactor Safety Analysis and Visualization, In Proceedings of the 2013 International Conference on Mathematics and Computational Methods Applied to Nuclear Science & Engineering (M&C), pp. 712-723. 2013. The next generation of methodologies for nuclear reactor Probabilistic Risk Assessment (PRA) explicitly accounts for the time element in modeling the probabilistic system evolution and uses numerical simulation tools to account for possible dependencies between failure events. The Monte-Carlo (MC) and the Dynamic Event Tree (DET) approaches belong to this new class of dynamic PRA methodologies. A challenge of dynamic PRA algorithms is the large amount of data they produce which may be difficult to visualize and analyze in order to extract useful information. We present a software tool that is designed to address these goals. We model a large-scale nuclear simulation dataset as a high-dimensional scalar function defined over a discrete sample of the domain. First, we provide structural analysis of such a function at multiple scales and provide insight into the relationship between the input parameters and the output. Second, we enable exploratory analysis for users, where we help the users to differentiate features from noise through multi-scale analysis on an interactive platform, based on domain knowledge and data characterization. Our analysis is performed by exploiting the topological and geometric properties of the domain, building statistical models based on its topological segmentations and providing interactive visual interfaces to facilitate such explorations. We provide a user's guide to our software tool by highlighting its analysis and visualization capabilities, along with a use case involving data from a nuclear reactor safety simulation. D. Maljovec, Bei Wang, D. Mandelli, P.-T. Bremer, V. Pascucci. Adaptive Sampling Algorithms for Probabilistic Risk Assessment of Nuclear Simulations, In Proceedings of the 2013 International Topical Meeting on Probabilistic Safety Assessment and Analysis (PSA 2013), Note: First runner-up for Best Student Paper Award, 2013. 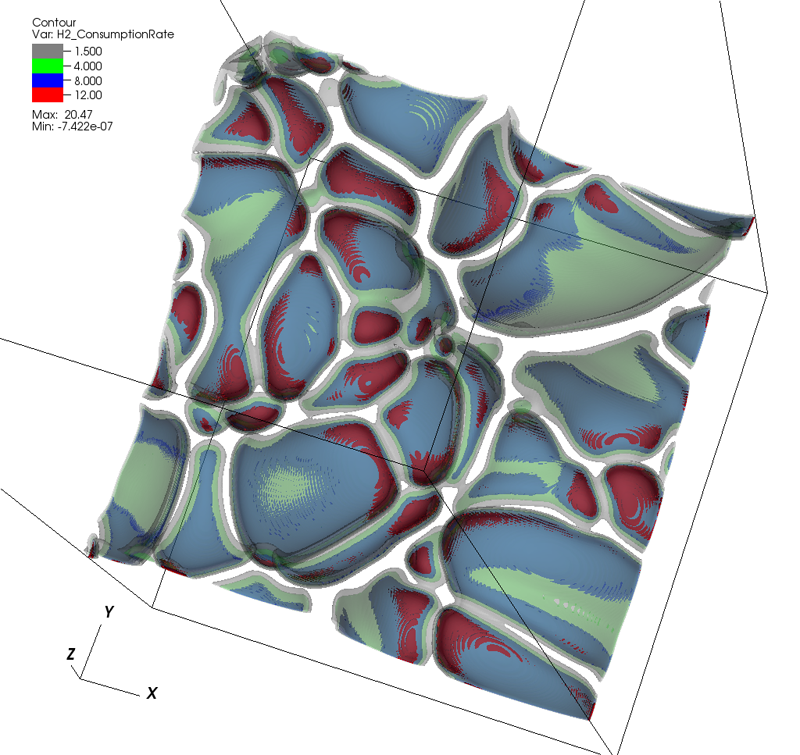 Nuclear simulations are often computationally expensive, time-consuming, and high-dimensional with respect to the number of input parameters. Thus exploring the space of all possible simulation outcomes is infeasible using finite computing resources. During simulation-based probabilistic risk analysis, it is important to discover the relationship between a potentially large number of input parameters and the output of a simulation using as few simulation trials as possible. This is a typical context for performing adaptive sampling where a few observations are obtained from the simulation, a surrogate model is built to represent the simulation space, and new samples are selected based on the model constructed. The surrogate model is then updated based on the simulation results of the sampled points. In this way, we attempt to gain the most information possible with a small number of carefully selected sampled points, limiting the number of expensive trials needed to understand features of the simulation space. We analyze the specific use case of identifying the limit surface, i.e., the boundaries in the simulation space between system failure and system success. In this study, we explore several techniques for adaptively sampling the parameter space in order to reconstruct the limit surface. We focus on several adaptive sampling schemes. First, we seek to learn a global model of the entire simulation space using prediction models or neighborhood graphs and extract the limit surface as an iso-surface of the global model. Second, we estimate the limit surface by sampling in the neighborhood of the current estimate based on topological segmentations obtained locally. 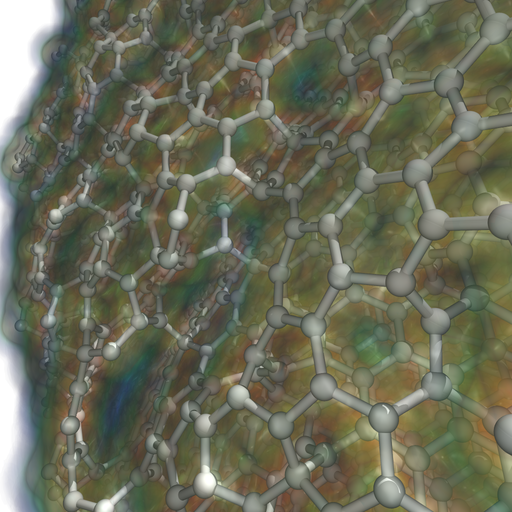 Our techniques draw inspirations from topological structure known as the Morse-Smale complex. We highlight the advantages and disadvantages of using a global prediction model versus local topological view of the simulation space, comparing several different strategies for adaptive sampling in both contexts. One of the most interesting models we propose attempt to marry the two by obtaining a coarse global representation using prediction models, and a detailed local representation based on topology. Our methods are validated on several analytical test functions as well as a small nuclear simulation dataset modeled after a simplified Pressurized Water Reactor. D. Maljovec, Bei Wang, D. Mandelli, P.-T. Bremer, V. Pascucci. Analyze Dynamic Probabilistic Risk Assessment Data through Clustering, In Proceedings of the 2013 International Topical Meeting on Probabilistic Safety Assessment and Analysis (PSA 2013), 2013. We investigate the use of a topology-based clustering technique on the data generated by dynamic event tree methodologies. The clustering technique we utilizes focuses on a domain-partitioning algorithm based on topological structures known as the Morse-Smale complex, which partitions the data points into clusters based on their uniform gradient flow behavior. We perform both end state analysis and transient analysis to classify the set of nuclear scenarios. We demonstrate our methodology on a dataset generated for a sodium-cooled fast reactor during an aircraft crash scenario. The simulation tracks the temperature of the reactor as well as the time for a recovery team to fix the passive cooling system. Combined with clustering results obtained previously through mean shift methodology, we present the user with complementary views of the data that help illuminate key features that may be otherwise hidden using a single methodology. By clustering the data, the number of relevant test cases to be selected for further analysis can be drastically reduced by selecting a representative from each cluster. Identifying the similarities of simulations within a cluster can also aid in the drawing of important conclusions with respect to safety analysis. D. Maljovec, Bei Wang, A. Kupresanin, G. Johannesson, V. Pascucci, P.-T. Bremer. Adaptive Sampling with Topological Scores, In Int. J. Uncertainty Quantification, Vol. 3, No. 2, Begell House, pp. 119--141. 2013. Understanding and describing expensive black box functions such as physical simulations is a common problem in many application areas. One example is the recent interest in uncertainty quantification with the goal of discovering the relationship between a potentially large number of input parameters and the output of a simulation. Typically, the simulation of interest is expensive to evaluate and thus the sampling of the parameter space is necessarily small. As a result choosing a "good" set of samples at which to evaluate is crucial to glean as much information as possible from the fewest samples. 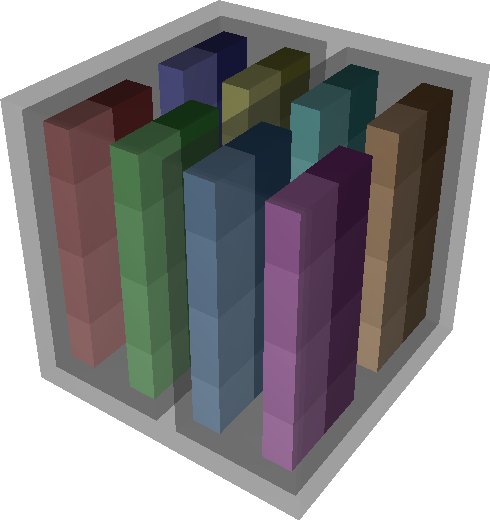 While space-filling sampling designs such as Latin hypercubes provide a good initial cover of the entire domain, more detailed studies typically rely on adaptive sampling: Given an initial set of samples, these techniques construct a surrogate model and use it to evaluate a scoring function which aims to predict the expected gain from evaluating a potential new sample. There exist a large number of different surrogate models as well as different scoring functions each with their own advantages and disadvantages. In this paper we present an extensive comparative study of adaptive sampling using four popular regression models combined with six traditional scoring functions compared against a space-filling design. Furthermore, for a single high-dimensional output function, we introduce a new class of scoring functions based on global topological rather than local geometric information. 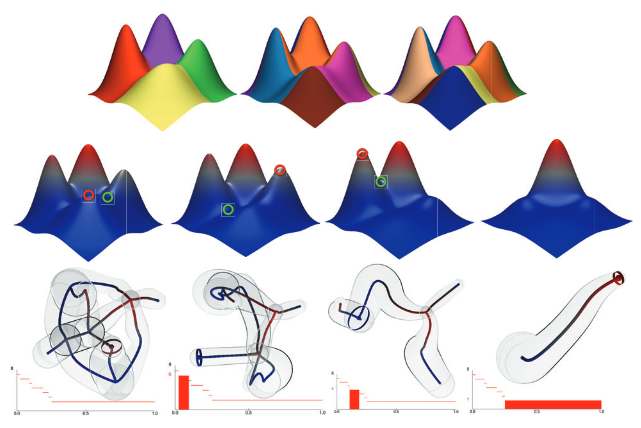 The new scoring functions are competitive in terms of the root mean squared prediction error but are expected to better recover the global topological structure. Our experiments suggest that the most common point of failure of adaptive sampling schemes are ill-suited regression models. Nevertheless, even given well-fitted surrogate models many scoring functions fail to outperform a space-filling design. V. Pascucci, P.-T. Bremer, A. Gyulassy, G. Scorzelli, C. Christensen, B. Summa, S. Kumar. Scalable Visualization and Interactive Analysis Using Massive Data Streams, In Cloud Computing and Big Data, Advances in Parallel Computing, Vol. 23, IOS Press, pp. 212--230. 2013. Historically, data creation and storage has always outpaced the infrastructure for its movement and utilization. This trend is increasing now more than ever, with the ever growing size of scientific simulations, increased resolution of sensors, and large mosaic images. Effective exploration of massive scientific models demands the combination of data management, analysis, and visualization techniques, working together in an interactive setting. The ViSUS application framework has been designed as an environment that allows the interactive exploration and analysis of massive scientific models in a cache-oblivious, hardware-agnostic manner, enabling processing and visualization of possibly geographically distributed data using many kinds of devices and platforms. For general purpose feature segmentation and exploration we discuss a new paradigm based on topological analysis. This approach enables the extraction of summaries of features present in the data through abstract models that are orders of magnitude smaller than the raw data, providing enough information to support general queries and perform a wide range of analyses without access to the original data. S. Philip, B. Summa, J. Tierny, P.-T. Bremer, V. Pascucci. Scalable Seams for Gigapixel Panoramas, In Proceedings of the 2013 Eurographics Symposium on Parallel Graphics and Visualization, Note: Awarded Best Paper!, pp. 25--32. 2013. Gigapixel panoramas are an increasingly popular digital image application. They are often created as a mosaic of smaller images composited into a larger single image. The mosaic acquisition can occur over many hours causing the individual images to differ in exposure and lighting conditions. Therefore, to give the appearance of a single seamless image a blending operation is necessary. The quality of this blending depends on the magnitude of discontinuity along the boundaries between the images. Often image boundaries, or seams, are first computed to minimize this transition. Current techniques based on the multi-labeling Graph Cuts method are too slow and memory intensive for panoramas many gigapixels in size. In this paper we present a multithreaded out-of-core seam computing technique that is fast, has a small memory footprint, and gives near perfect scaling up to the number of physical cores of our test system. With this method the time required to compute image boundaries for gigapixel imagery improves from many hours (or even days) to just a few minutes on commodity hardware while still producing boundaries with energy that is on-par, if not better, than Graph Cuts. A. Rungta, B. Summa, D. Demir, P.-T. Bremer, V. Pascucci. ManyVis: Multiple Applications in an Integrated Visualization Environment, In IEEE Transactions on Visualization and Computer Graphics (TVCG), Vol. 19, No. 12, pp. 2878--2885. December, 2013. As the visualization field matures, an increasing number of general toolkits are developed to cover a broad range of applications. However, no general tool can incorporate the latest capabilities for all possible applications, nor can the user interfaces and workflows be easily adjusted to accommodate all user communities. As a result, users will often chose either substandard solutions presented in familiar, customized tools or assemble a patchwork of individual applications glued through ad-hoc scripts and extensive, manual intervention. Instead, we need the ability to easily and rapidly assemble the best-in-task tools into custom interfaces and workflows to optimally serve any given application community. Unfortunately, creating such meta-applications at the API or SDK level is difficult, time consuming, and often infeasible due to the sheer variety of data models, design philosophies, limits in functionality, and the use of closed commercial systems. In this paper, we present the ManyVis framework which enables custom solutions to be built both rapidly and simply by allowing coordination and communication across existing unrelated applications. ManyVis allows users to combine software tools with complementary characteristics into one virtual application driven by a single, custom-designed interface. P. Skraba, Bei Wang, G. Chen, P. Rosen. 2D Vector Field Simplification Based on Robustness, SCI Technical Report, No. UUSCI-2013-004, SCI Institute, University of Utah, 2013. Vector field simplification aims to reduce the complexity of the flow by removing features in order of their relevance and importance, to reveal prominent behavior and obtain a compact representation for interpretation. 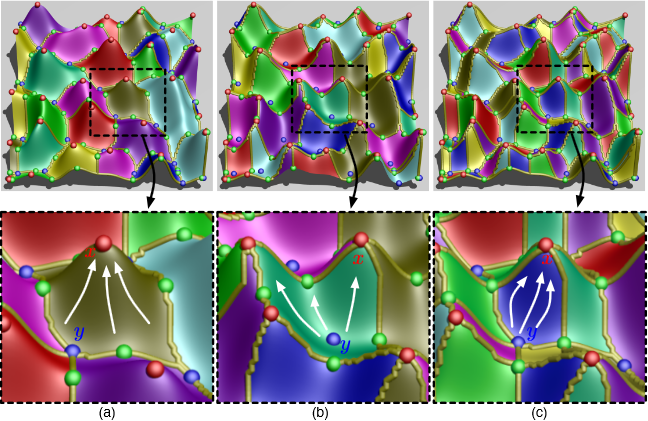 Most existing simplification techniques based on the topological skeleton successively remove pairs of critical points connected by separatrices using distance or area-based relevance measures. These methods rely on the stable extraction of the topological skeleton, which can be difficult due to instability in numerical integration, especially when processing highly rotational flows. Further, the distance and area-based metrics are used to determine the cancellation ordering of features from a geometric point of view. Specifically, these metrics do not consider the flow magnitude, which is an important physical property of the flow. In this paper, we propose a novel simplification scheme derived from the recently introduced topological notion of robustness, which provides a complementary flow structure hierarchy to the traditional topological skeleton-based approach. Robustness enables the pruning of sets of critical points according to a quantitative measure of their stability, that is, the minimum amount of vector field perturbation required to remove them within a local neighborhood. This leads to a natural hierarchical simplification scheme with more physical consideration than purely topological-skeleton-based methods. Such a simplification does not depend on the topological skeleton of the vector field and therefore can handle more general situations (e.g. centers and pairs not connected by separatrices). We also provide a novel simplification algorithm based on degree theory with fewer restrictions and so can handle more general boundary conditions. We provide an implementation under the piecewise-linear setting and apply it to both synthetic and real-world datasets. Bei Wang, P. Rosen, P. Skraba, H. Bhatia, V. Pascucci. Visualizing Robustness of Critical Points for 2D Time-Varying Vector Fields, In Computer Graphics Forum, Vol. 32, No. 3, Wiley-Blackwell, pp. 221--230. jun, 2013. Analyzing critical points and their temporal evolutions plays a crucial role in understanding the behavior of vector fields. A key challenge is to quantify the stability of critical points: more stable points may represent more important phenomena or vice versa. The topological notion of robustness is a tool which allows us to quantify rigorously the stability of each critical point. Intuitively, the robustness of a critical point is the minimum amount of perturbation necessary to cancel it within a local neighborhood, measured under an appropriate metric. 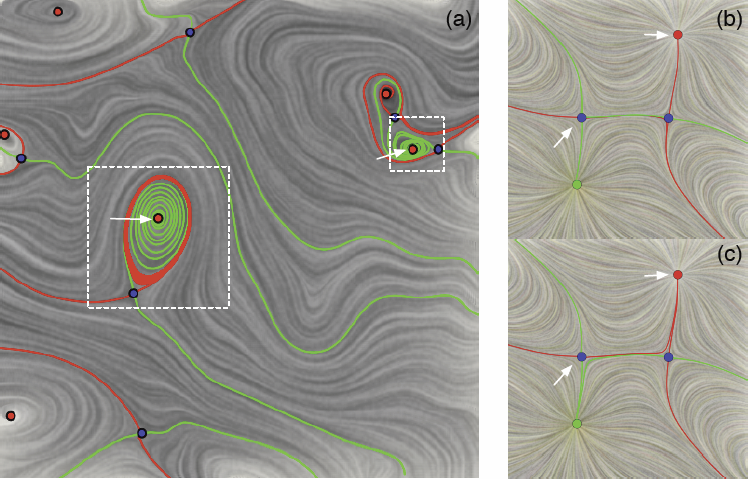 In this paper, we introduce a new analysis and visualization framework which enables interactive exploration of robustness of critical points for both stationary and time-varying 2D vector fields. This framework allows the end-users, for the first time, to investigate how the stability of a critical point evolves over time. We show that this depends heavily on the global properties of the vector field and that structural changes can correspond to interesting behavior. We demonstrate the practicality of our theories and techniques on several datasets involving combustion and oceanic eddy simulations and obtain some key insights regarding their stable and unstable features. Bo Wang, M. Prastawa, A. Saha, S.P. Awate, A. Irimia, M.C. Chambers, P.M. Vespa, J.D. Van Horn, V. Pascucci, G. Gerig. Modeling 4D changes in pathological anatomy using domain adaptation: analysis of TBI imaging using a tumor database, In Proceedings of the 2013 MICCAI-MBIA Workshop, Lecture Notes in Computer Science (LNCS), Vol. 8159, Note: Awarded Best Paper!, pp. 31--39. 2013. Analysis of 4D medical images presenting pathology (i.e., lesions) is signi cantly challenging due to the presence of complex changes over time. 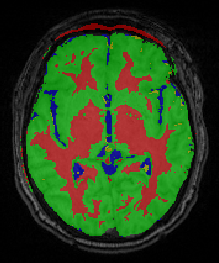 Image analysis methods for 4D images with lesions need to account for changes in brain structures due to deformation, as well as the formation and deletion of new structures (e.g., edema, bleeding) due to the physiological processes associated with damage, intervention, and recovery. We propose a novel framework that models 4D changes in pathological anatomy across time, and provides explicit mapping from a healthy template to subjects with pathology. Moreover, our framework uses transfer learning to leverage rich information from a known source domain, where we have a collection of completely segmented images, to yield effective appearance models for the input target domain. The automatic 4D segmentation method uses a novel domain adaptation technique for generative kernel density models to transfer information between different domains, resulting in a fully automatic method that requires no user interaction. We demonstrate the effectiveness of our novel approach with the analysis of 4D images of traumatic brain injury (TBI), using a synthetic tumor database as the source domain. G.H. Weber, K. Beketayev, P.-T. Bremer, B. Hamann, M. Haranczyk, M. Hlawitschka, V. Pascucci. Comprehensible Presentation of Topological Information, No. LBNL-5693E, Lawrence Berkeley National Laboratory, 2013. Topological information has proven very valuable in the analysis of scientific data. An important challenge that remains is presenting this highly abstract information in a way that it is comprehensible even if one does not have an in-depth background in topology. Furthermore, it is often desirable to combine the structural insight gained by topological analysis with complementary information, such as geometric information. We present an overview over methods that use metaphors to make topological information more accessible to non-expert users, and we demonstrate their applicability to a range of scientific data sets. With the increasingly complex output of exascale simulations, the importance of having effective means of providing a comprehensible, abstract overview over data will grow. The techniques that we present will serve as an important foundation for this purpose. W. Widanagamaachchi, P. Rosen, V. Pascucci. A Flexible Framework for Fusing Image Collections into Panoramas, In Proceedings of the 2013 SIBGRAPI Conference on Graphics, Patterns, and Images, Note: Awarded Best Paper., pp. 195-202. 2013. Panoramas create summary views of multiple images, which make them a valuable means of analyzing huge quantities of image and video data. This paper introduces the Ray Graph - a general framework for panorama construction. With rays as its vertices, the Ray Graph uses its edges to specify a set of coherency relationships among all input rays. Consequently, by using a set of simple graph traversal rules, a diverse set of panorama structures can be enumerated, which can be used to efficiently and robustly generate panoramic images from image collections. To demonstrate this framework, we first use it to recreate both 360° and street panoramas. We further introduce two new panorama models, the centipede panorama - a hybrid of the 360° and street panoramas, and the storytelling panorama - a time encoding panorama. Finally, we demonstrate the flexibility of this framework by enabling interactive brushing of panoramic regions for removal of undesired features such as occlusions and moving objects. J.C. Bennett, H. Abbasi, P. Bremer, R.W. Grout, A. Gyulassy, T. Jin, S. Klasky, H. Kolla, M. Parashar, V. Pascucci, P. Pbay, D. Thompson, H. Yu, F. Zhang, J. Chen. Combining In-Situ and In-Transit Processing to Enable Extreme-Scale Scientific Analysis, In ACM/IEEE International Conference for High Performance Computing, Networking, Storage, and Analysis (SC), Salt Lake City, Utah, U.S.A., November, 2012. With the onset of extreme-scale computing, I/O constraints make it increasingly difficult for scientists to save a sufficient amount of raw simulation data to persistent storage. One potential solution is to change the data analysis pipeline from a post-process centric to a concurrent approach based on either in-situ or in-transit processing. In this context computations are considered in-situ if they utilize the primary compute resources, while in-transit processing refers to offloading computations to a set of secondary resources using asynchronous data transfers. In this paper we explore the design and implementation of three common analysis techniques typically performed on large-scale scientific simulations: topological analysis, descriptive statistics, and visualization. We summarize algorithmic developments, describe a resource scheduling system to coordinate the execution of various analysis workflows, and discuss our implementation using the DataSpaces and ADIOS frameworks that support efficient data movement between in-situ and in-transit computations. 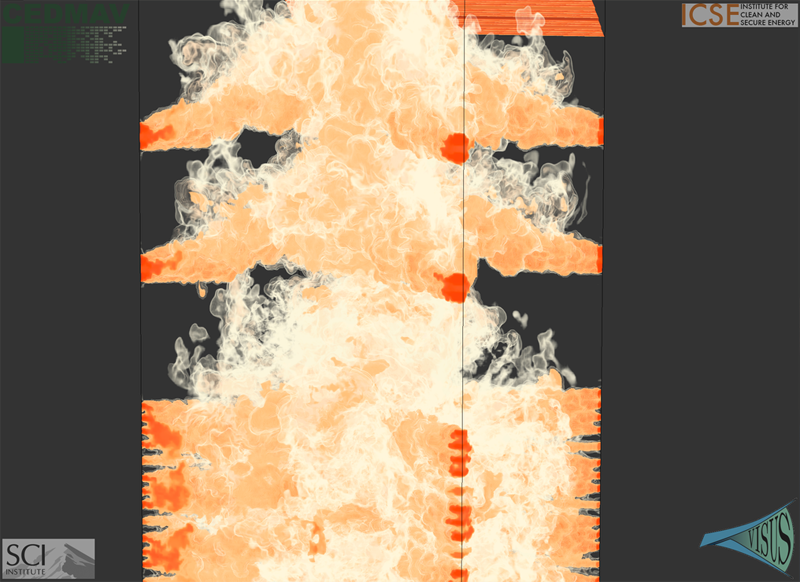 We demonstrate the efficiency of our lightweight, flexible framework by deploying it on the Jaguar XK6 to analyze data generated by S3D, a massively parallel turbulent combustion code. Our framework allows scientists dealing with the data deluge at extreme scale to perform analyses at increased temporal resolutions, mitigate I/O costs, and significantly improve the time to insight. A. Bhatele, T. Gamblin, S.H. Langer, P.-T. Bremer, E.W. Draeger, B. Hamann, K.E. Isaacs, A.G. Landge, J.A. Levine, V. Pascucci, M. Schulz, C.H. Still. Mapping applications with collectives over sub-communicators on torus networks, In Proceedings of Supercomputing 2012, pp. 1--11. 2012. The placement of tasks in a parallel application on specific nodes of a supercomputer can significantly impact performance. Traditionally, this task mapping has focused on reducing the distance between communicating tasks on the physical network. This minimizes the number of hops that point-to-point messages travel and thus reduces link sharing between messages and contention. However, for applications that use collectives over sub-communicators, this heuristic may not be optimal. Many collectives can benefit from an increase in bandwidth even at the cost of an increase in hop count, especially when sending large messages. For example, placing communicating tasks in a cube configuration rather than a plane or a line on a torus network increases the number of possible paths messages might take. This increases the available bandwidth which can lead to significant performance gains. We have developed Rubik, a tool that provides a simple and intuitive interface to create a wide variety of mappings for structured communication patterns. Rubik supports a number of elementary operations such as splits, tilts, or shifts, that can be combined into a large number of unique patterns. Each operation can be applied to disjoint groups of processes involved in collectives to increase the effective bandwidth. We demonstrate the use of Rubik for improving performance of two parallel codes, pF3D and Qbox, which use collectives over sub-communicators. F. Chen, H. Obermaier, H. Hagen, B. Hamann, J. Tierny, V. Pascucci.. Topology Analysis of Time-Dependent Multi-Fluid Data Using the Reeb Graph, In Computer Aided Geometric Design, Note: Published online Apr 24., Elsevier, 2012. A.N.M. Imroz Choudhury, Bei Wang, P. Rosen, V. Pascucci. Topological Analysis and Visualization of Cyclical Behavior in Memory Reference Traces, In Proceedings of the IEEE Pacific Visualization Symposium (PacificVis 2012), pp. 9--16. 2012. We demonstrate the application of topological analysis techniques to the rather unexpected domain of software visualization. We collect a memory reference trace from a running program, recasting the linear flow of trace records as a high-dimensional point cloud in a metric space. We use topological persistence to automatically detect significant circular structures in the point cloud, which represent recurrent or cyclical runtime program behaviors. We visualize such recurrences using radial plots to display their time evolution, offering multi-scale visual insights, and detecting potential candidates for memory performance optimization. We then present several case studies to demonstrate some key insights obtained using our techniques.